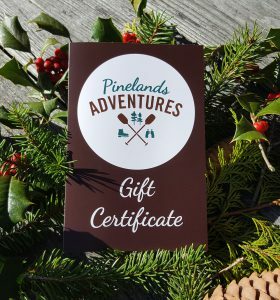 Pinelands Adventures Gift Certificates mailed today! Easy checkout, speedy delivery! Surprise a family member, friend or colleague with an adventure in New Jersey’s Pine Barrens. You may purchase a Pinelands Adventures Gift Certificate for any amount. We are located in Wharton State Forest, the heart of the Pine Barrens, less than an hour from Philadelphia, Princeton and Atlantic City. 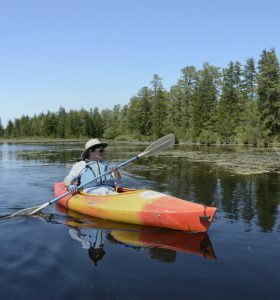 Exciting guided and self-guided canoeing and kayaking trips are available on pristine Pine Barrens rivers. We also offer a schedule of unique guided hikes and history, culture & ecology tours. After checkout you’ll have the opportunity to email the gift certificate to your recipient at the date and time you choose. 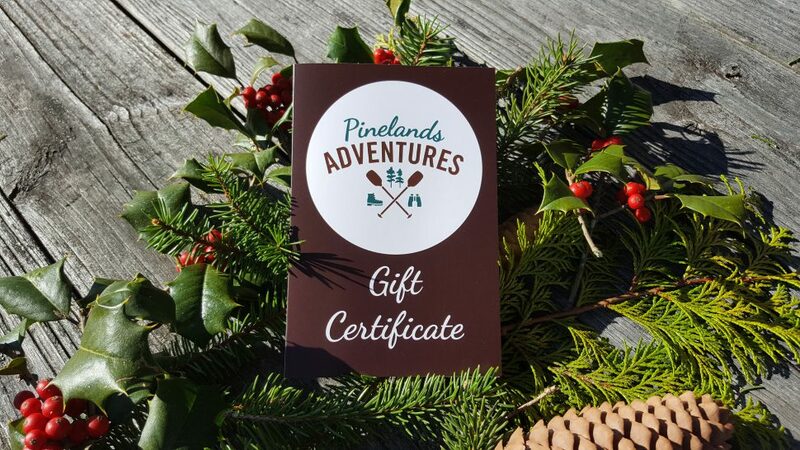 Pinelands Adventures will also mail a physical gift certificate to you or your recipient at your request. Just select this option during checkout: “Would you like us to mail a physical gift card?” Or reply to the confirmation email with the name and address or call us at 609-268-0189. All paddling trips include transportation to the launch site and pick up from the landing. Paddling (self-guided): Range from $50 to $75 per boat for a single kayak to canoe or tandem kayak. 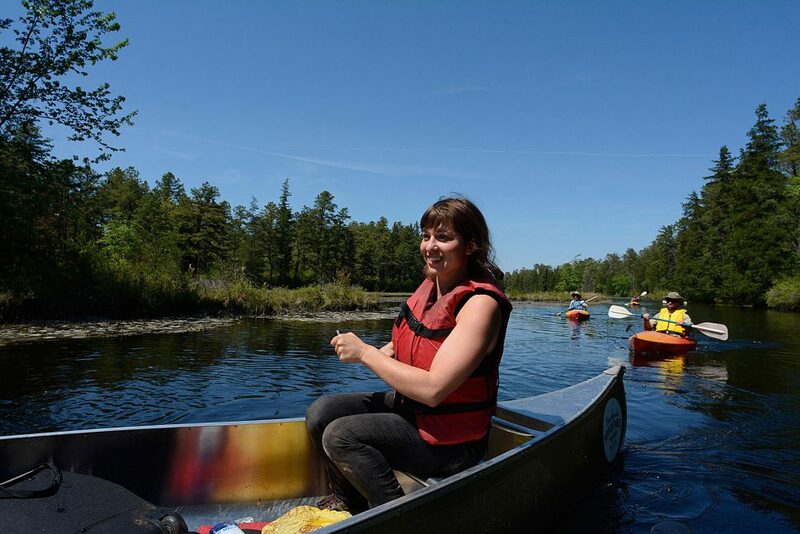 What’s Included: Gift certificates for paddling trips include canoe or kayak rental and transportation to and from the starting or end point on the Batsto or Mullica Rivers. You may also bring your own canoe or kayak. Gift certificates for hiking and history programs include transportation to hiking or tour area and guides who are experts in Pine Barrens ecology and history. The holder of the gift certificate may schedule a trip at his or her convenience and according to the schedule of trips and programs.